An illuminating introduction to the methods and problems of social anthropology, this book draws on a wide range of illustrations, including Raymond Firth's own experiences in New Zealand, Malaya and the Solomon Islands. 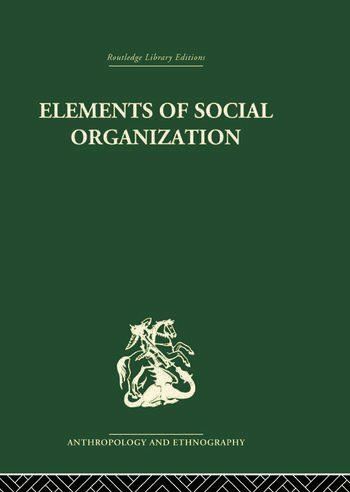 The concept of social organisation is discussed with special reference to the role of individual choice and decision in social affairs and the nature of social change. Social organisation in relation to economic, aesthetic, moral and religious values is also examined. First published in 1951. This re-issue is of the third, 1961 edition.